and keeping traditional hand crafting techniques alive. 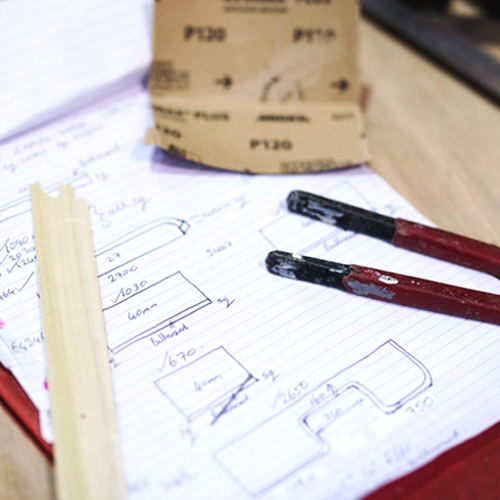 Dovetail joints, rulers, pencils and line drawings – we love going back to basics in our workshop. Traditional techniques mixed with modern machinery results in a premium quality mix of old and new. 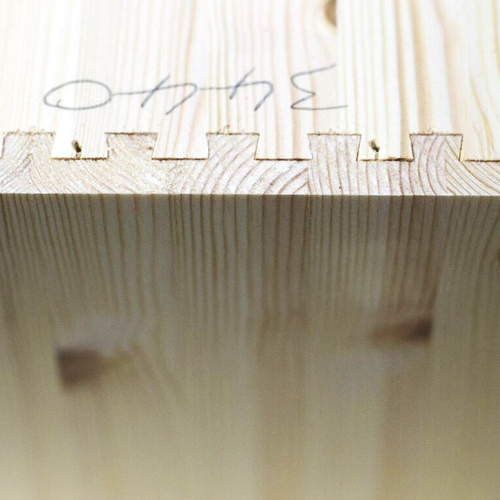 Our craftsmen have over 100 years of history in the timber trade. 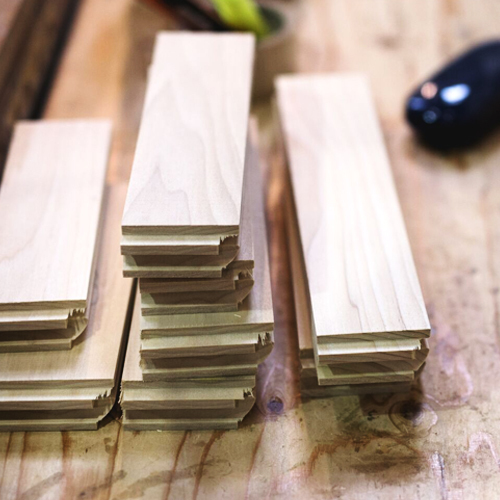 We source our timber from experienced suppliers and our experienced carpenters put into practice a multitude of modern and traditional cutting and construction techniques. Need to fill a particularly awkward space? 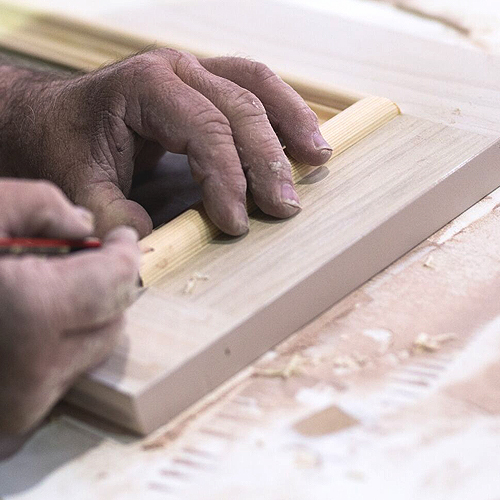 Our craftsmen are happy to build our Oxford and island Breeze, Millbrook and Bay View furniture collections to specified dimensions, so if you need a bespoke size, just ask. Whether you need a particularly low wardrobe for your attic room or a dresser to perfectly fit into your quirky alcove, just give us a call and we'll accomodate your needs in the best way possible! 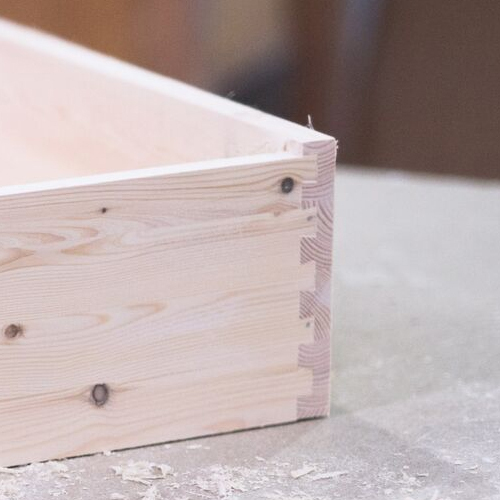 To guarantee a solid and stable foundation we will sometimes use a high density engineered timber for the base units and stunning Grade one American Oak for the top sections of our furniture. Different collections will use different construction and materials depending on which is best suited to the design and style of the furniture. Our Tulip, Poplar, pine and Oak timbers are sourced and hand-picked to ensure they're knot free and of the highest possible standard. 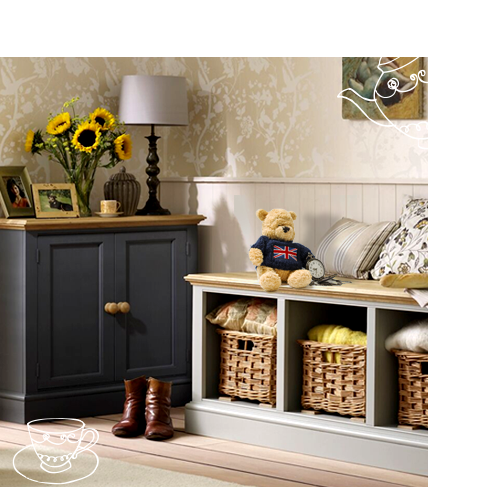 Our engineered timber is temperature and moisture resistant, which prevents any movement or warping and is a must for painted furniture. As we move from summer to winter most houses will see a rise and fall in temperature and humidity and this can cause paint to crack if the right material isn't used. Whatever your rooms' décor, our passion is in providing you with a piece of furniture that is just what you were looking for, and is built to last a lifetime. When it comes to paint colour; the choice is yours. 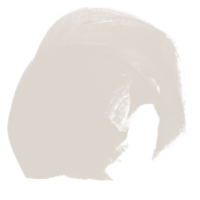 We have a huge range of colours as standard; each carefully chosen to compliment a modern colour scheme from classic Whites to striking Greys. We have worked with a very well respected British paint manufacturer to create a formula that is perfect for the finish we want. Our paint formula gives exactly the right coverage and finish, each formulated to match the style and character of your chosen collection. Whichever colour you choose (or mix of colours), our skilled paint shop operators will settle for nothing but perfection. We use very high quality catalysed paint, which contains a hardener that achieves a very tough and smooth finish. Finally our drying oven ensures a solid and blemish free finish. After painting, all hinges and brackets are re-fitted, doors re-hung, shelving and glass installed by hand. Every piece of furniture is checked and checked again in our final assembly area. After being wrapped up ready for transit, we bid a fond farewell to each of our projects. Sit back, relax and browse through our furniture collections, confident in your mind that every piece of furniture is made by hand with quality and style at its forefront. 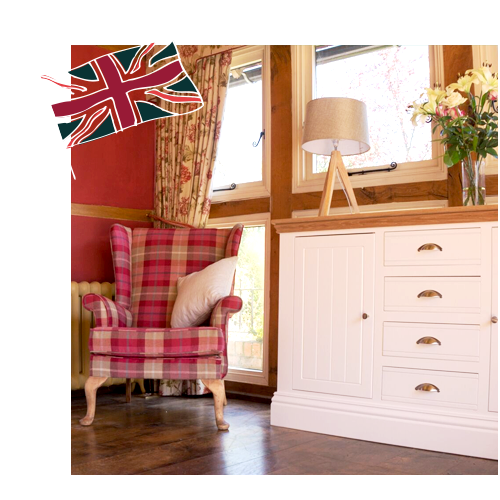 Here's an introduction to each of our handmade British collections. Our Oxford collection is one we are particularly proud of, it has an exquisite balance of contemporary style with plenty of classic design cues. 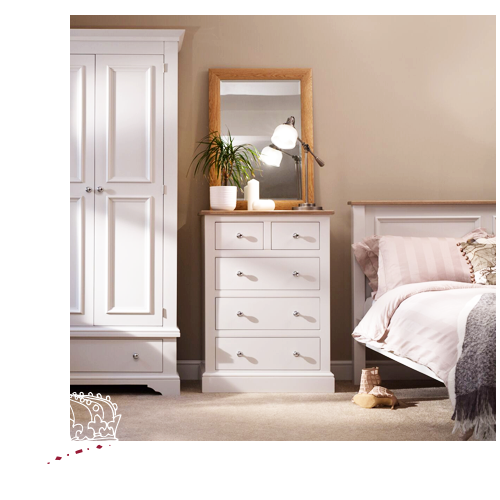 Choose from dressers for your dining room, coffee tables for the living room or drawers for your bedroom; whatever you're looking for, our Oxford collection is one of our most popular. Inspired by the Great Explorers and styled by the Painted Furniture Company, our Island Breeze collection comprises living, dining and bedroom furniture that is contemporary in design and of course you will have a wide variety of colour options to choose from. There's also 5 wood finishes to choose from. The design brief for the Millbrook collection was to create elegant, relaxed and timeless furniture. Sounds easy in theory, but it isn’t! Just selecting the exact thickness of the top section (24mm as it happens) took many late nights and trial runs. This collection has the ability to fit seamlessly into contemporary settings, whilst also adding style and a touch of sophistication to the most traditional, 'country-cottage' interiors. 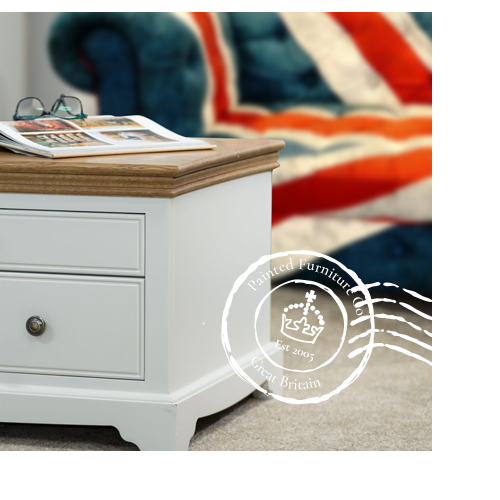 We love its relaxed demeanour with just the slightest hint of wood grain visible under the paint finish. Our brand new bedroom collection born from the same factory as the Millbrook collection. Slightly more formal and with an air of its own sophistication, the Bay View bedroom has timeless style. The first of our collections to feature soft close drawer runners, the search for this component alone took over 12 months, we just couldn’t find a solution which we felt was sufficiently well engineered, of course perseverance always pays off and we are very pleased with the system we selected. This collection can be styled to your preference with either an elegant cut out plinth or a straight cut base, the truth is we couldn’t decide which looked best so why not offer you the choice? Choice is after all what we stand for.